So, Who Could Squad Up for The Suicide Squad? 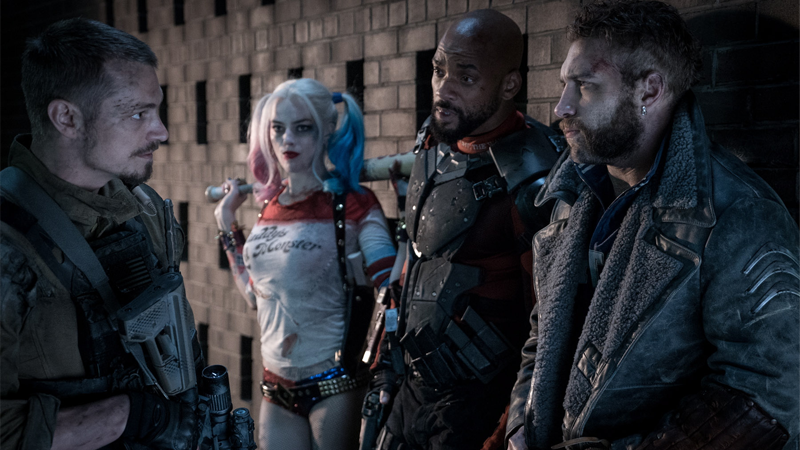 All these characters might have survived Suicide Squad, but they may not be back for The Suicide Squad. Suicide Squad 2 is dead, long live James Gunn’s The Suicide Squad. Recent reports suggested an intriguing update to the supposed follow up to David Ayers’ messy foray into the DC movieverse: Gunn’s movie will use “mostly an all-new cast.” So who from the comics could be signing up this time? What’s mostly weird about this is, despite the Suicide Squad’s whole thing being that they either succeed or die, not a whole lot of dying actually happened in Suicide Squad to warrant “mostly an all-new cast” as the Hollywood Reporter suggested will be the case for The Suicide Squad. Out of the first movie’s team, only Slipknot, Diablo, and technically Enchantress—after the twist revealed that she was actually the villain of the movie—perished. That leaves Rick Flag, Deadshot, Killer Croc, Katana, Captain Boomerang, and Harley Quinn still around, but not all of them might be returning for round two if we’re getting a “mostly” new cast. Surely Harley has to be, given her ascendance in the DC movie slate lately? Now, of course, the very nature of the Suicide Squad is that people rotate in and out of its service on a regular basis (the CW’s Arrow has been reminding us of that recently). Usually, it happens in a spectacularly violent fashion because, well...it’s in the name. People get their heads blown off by implanted bombs or die in other gruesome manners with remarkable regularity, and even the people who do survive a mission don’t always stick around for the chance to die on another. All this means is, in the comics, there’s already a decent roster of potential recruits that could replace both the fallen and the non-returning stars of Suicide Squad in...The Suicide Squad. Wow, already this sequel name is doing a number on my brain. Can’t wait for 2021! Anyway, here’s a few notable misfits who could potentially join the movie. Manganiello as Deathstroke at the end of Justice League, what could end up being his sole appearance in the role, unless The Suicide Squad has anything to say about it? In the comics, Deathstroke’s relationship with the Squad is...tenuous, at best. He joined and promptly left it when the series relaunched as The New Suicide Squad in 2014, and that’s basically it. But DC’s got Joe Manganiello standing around in that armor, and that solo movie is probably never gonna happen. Unless he shows up in The Batman instead in 2021 like was rumored all that time ago, why not slot him into this new squad? Caitlin battling Cyborg in Justice League vs. Suicide Squad #2. On TV, we’re getting a very cool (no, I’m not sorry, why do you ask?) take on Killer Frost and Caitlin Snow on The Flash, as Caitlin finds herself balancing the dark side that her powers bring out of her with her desire to help Barry Allen and the rest of Team Flash save the day. But The Suicide Squad could be a chance to give us a Killer Frost that lets out that icy villainess side a bit more freely. Both Caitlin and the original Louise Lincoln have history with the Squad in the comics, and she’s arguably one of the most recognizable members of the team that didn’t make it into the film the first time. No, not even Batman can escape the power of Vertigo itself. Vertigo actually played a pretty major role in the first volume of Suicide Squad after he joined the team in issue 24, so he has great history with the team that would be interesting to see come up in movie format. But he’s also got a really simple power set that could be interesting to see represented visually on screen: He can induce vertigo in people at will, debilitating them with dizziness and nausea. Given that it can affect basically anyone, regardless of whether they’re human or superhuman, it’s actually a rather potent power despite seeming a bit timid at first. Lashina on the cover of Suicide Squad #35. Lashina, a member of the Apokoliptan Female Furies, has a really cool bit of history with the Suicide Squad—after being betrayed by her fellow Fury Bernadeath and left to crash land on Earth, she comes across the Squad and helps them out, joining them under the claim of having amnesia and operating under the codename Duchess. Lashina eventually ingratiates herself enough that she recruits the squad in her mission of vengeance against Bernadeath, taking them with her when she finds a way back to Apokolips. She dies in the attempt, but hey: suicide squad. Beyond that, getting a New God on the team would make for a pretty intriguing link to Ava DuVernay’s upcoming Fourth World movie. Doctor Light’s not-so-certain death in Suicide Squad #36. The movie squad could do with a few more intelligent, tactician-y villains to round out the misfit bruisers it’s already got, and Doctor Light—who, as the name suggests, can manipulate light—has history with the group, having joined the team for strings of missions while being possessed by the ghost of his former research partner and creator of the suit he wears into combat, Jacob Finlay. Vixen joins the series in its eleventh issue. Ben Turner unleashes the beast within. Master martial artist Bronze Tiger and Vixen don’t have to be a package deal, but it’d be an interesting angle for The Suicide Squad to explore beyond the team being a bunch of assholes who learn to tolerate each other. Ben Turner also, like Vixen, could add another layer to the team in that he actually spends a good chunk of his time in the Squad being one of its more noble members, always looking out for his fellow teammates and often disobeying official orders to try and save his allies even when they’re all “meant” to be expendable. He also had experience commanding the team after Rick Flag’s departure, so if Flag isn’t around for movie two, it’d be interesting to see Bronze Tiger take his place. A few decades after the events of Wonder Woman 1984, could Cheetah still be around for a little squadding? Cheetah, a lot like Deathstroke, doesn’t really have all that much history with the Squad in the comics—she briefly joined the team in its New 52 incarnation and then escaped from Belle Reve prison altogether shortly after. But she does have a history with the DC movies...or will, after Wonder Woman 1984 comes out, where Barbara Ann will be played by Kristen Wiig. Sure, we don’t know yet if Cheetah makes it out of the Wonder Woman sequel unscathed, but if she does, maybe an older incarnation of her could show up in The Suicide Squad? Stranger things have happened in these movies. King Shark gets a spot of reading in between missions. Look, we were already cheated out of a proper Killer Croc in the first movie. And King Shark was meant to be in the first film at some point. So give me a goddamn man with a shark head, James Gunn. Any character with an animal head that I can get in this movie—even if Bronze Tiger’s is actually a mask—I will demand. Make it weird! Make it fun! Animal heads for everyone! Nightshade on the cover of Suicide Squad #21. An original member of the Squad, elements of Nightshade’s backstory with the Suicide Squad were actually lifted for the first movie. In the comics, Nightshade was from a magical realm called the Land of the Nightshades, granting her powers to teleport and manipulate shadows. Her brother Larry was possessed by the demon Incubus as a child—just as was the case with Enchantress’ brother in Suicide Squad—and Nightshade (aka ex-spy Eve Eden) eventually ventured back to her home realm with the squad in an attempt to liberate him from Incubus’ thrall. Unlike Enchantress in Suicide Squad, however, Nightshade didn’t turn on the Squad, even if she couldn’t ultimately save her brother from Incubus’ fatal possession. Which DC characters would you like to see in The Suicide Squad? Let us know in the comments!